In the year for US president election, 27 MA students from the Master of Communication and New Media (MACNM) visited Washington DC and New York from 17-25 May 2012 to observe first-hand and covered the different aspects of the US presidential election activities. Led by Dr. Joe He and Dr. Li Xigen, students have taken up various roles related to their expertise areas. Some have shot documentaries, some have done journalistic reporting and while others published magazines. 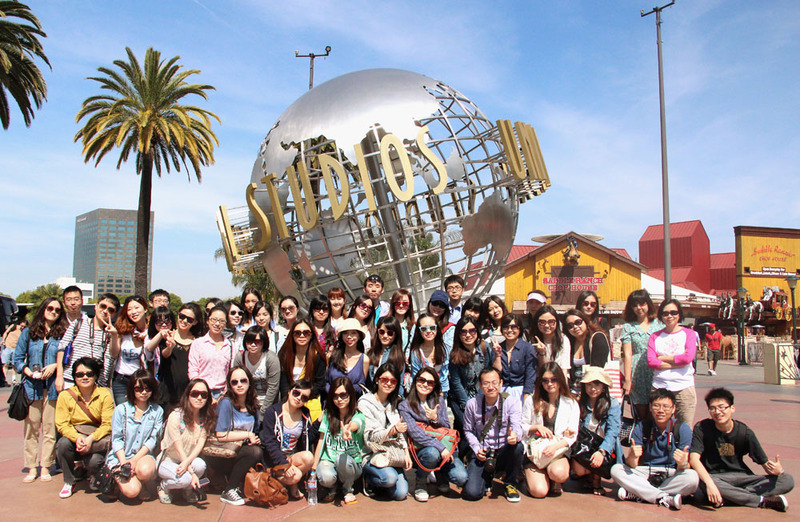 48 MA students from the Master of Integrated Marketing Communication (MAIMC) took part in a study tour to Los Angeles and Las Vegas from 14 to 22 April 2012. There they attended the National Association of Broadcasters seminars, and visited the trade show on the next-generation new media products and technologies. Led by Dr. Chen Ni, they also toured the Warner Brothers and Universal Studios in Hollywood to understand how new media have been incorporated into the production of entertainment. 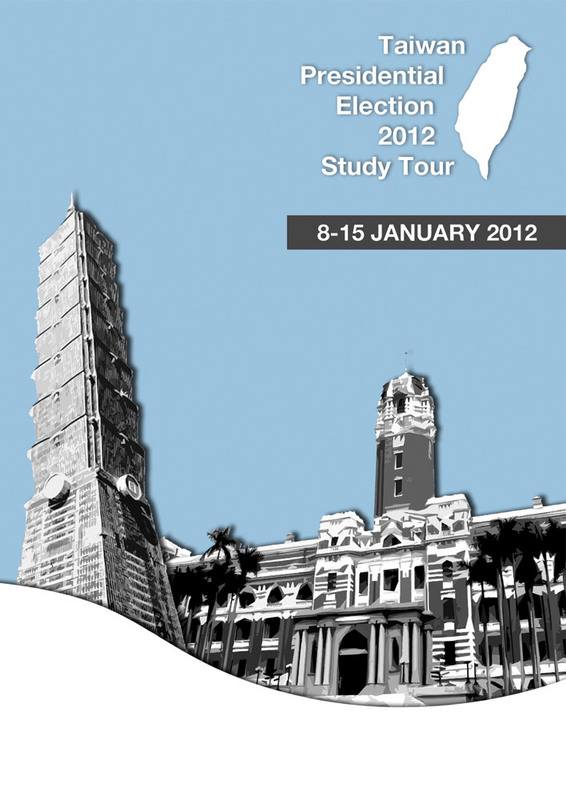 The Department sent 120 students to Taiwan from 8 to 15 January 2012 to observe the Presidential and Legislative Elections in Taipei. This was the largest study tour even organized by the Department. The Taiwan elections were held on 14 January 2012. The incumbent President Ma Ying-jeou beat the challenger, DPP Chairwoman Tsai Ying-wen, to win a second term. Accompanied by six faculty members, the group consists of 51 BAMC students, 34 BAISC students, 30 MA students, two Elder Academy students, and one exchange student from Australia. 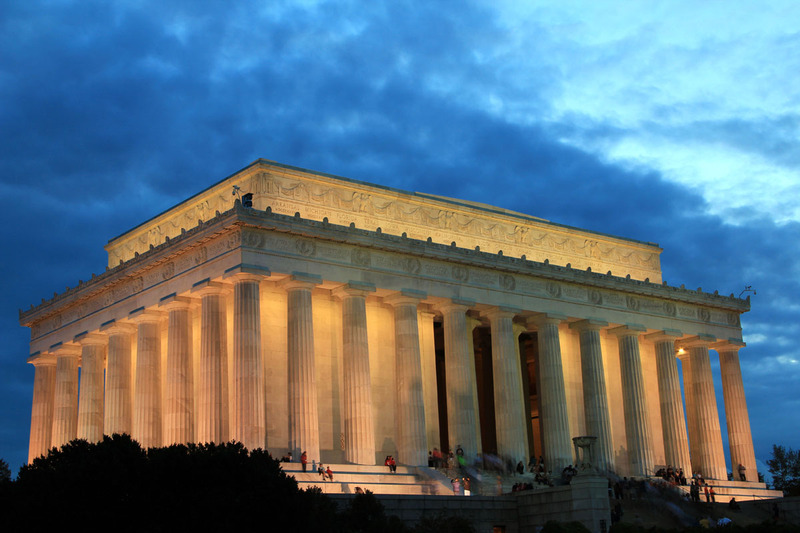 Students observed campaign rallies and visited many cultural and historical sites. A photo exhibition was held from 13 to 20 April, 2012 at the CityU main campus. 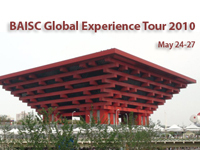 A group of 57 students from BA in Integrated Strategic Communication (BAISC) visited the World Expo on a study tour to Shanghai from 24 to 27 May 2010. This tour aims to "broaden students' horizon to state-of-art media and design" and to give them an opportunity to "create visual communication projects in a real-life context," according to Dr. Ming Cheung, program leader of BAISC. Students took theme-based photography of people, objects, and buildings. 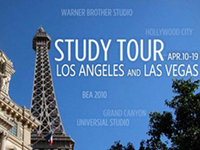 As part of the Department's effort to deepen students' global experiences, 43 MA students from both the Integrated Marketing Communication (MAIMC) and Communication and New Media (MACNM) took part in a study tour to Las Vegas from 10 to 19 April 2010. There they attended the National Association of Broadcasters seminars, and visited a trade show of 1,400 companies on the next-generation new media products and technologies. Led by Dr. Chen Ni, they also toured the Warner Brothers and Universal Studios in Hollywood to understand how new media have been incorporated into the production of entertainment.